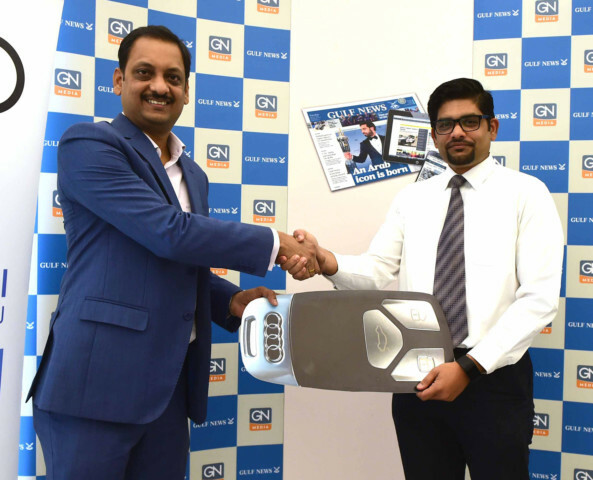 Dubai: An advice from a newspaper delivery man led to a subscriber winning an Audi A4 car in the ‘It All Adds Up’ mega subscription promotion of Gulf News. 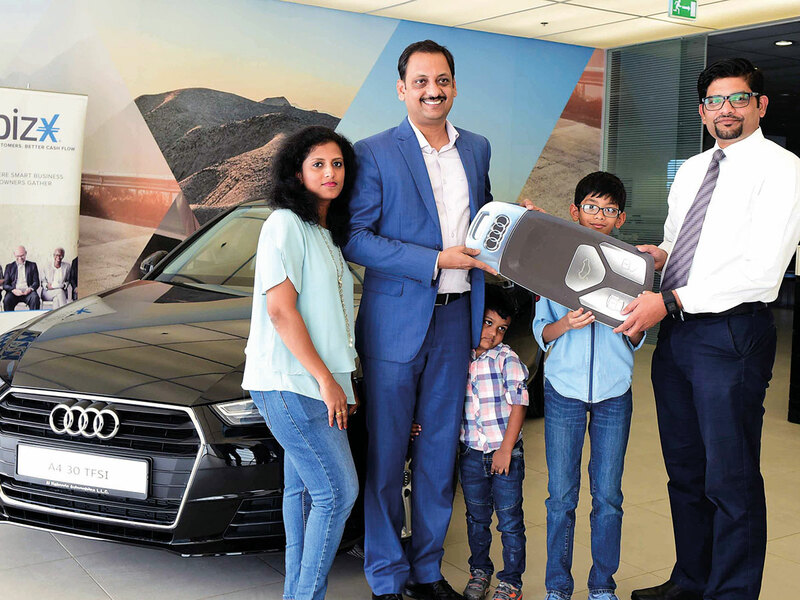 Renny Varghese, an Indian expat in Dubai, has become the second winner of the German sedan in a raffle, with one more Audi A4 left to be won in the promotion. The exclusive offer for existing and new subscribers also includes chances to win a fully-furnished brand-new apartment, and cash back and savings worth hundreds of dirhams. Varghese, who works for a “destination management company” in Dubai, initially did not wish to renew his annual subscription in December 2018. A Gulf News subscriber for 11 years now, he said he had become busier lately, leaving him little time to leisurely read the print edition. “We were actually not planning to renew this time. I like to go through my paper with some coffee at my own pace, but we’ve had less time to spare lately. So when Mani, our paper deliver man, showed up for the renewal, we said no,” said Varghese, who is from the Indian state of Kerala. The first Audi raffle on December 16, 2018 saw a Canadian expat in Abu Dhabi winning the car. Varghese said: “The first raffle came and went. We didn’t even think about the Audi raffle as we were not expecting to win. We had forgotten about the whole thing. Then I got a call [from Gulf News on January 16] saying I was the winner of the second Audi car. I blanked out, I was in shock. I exchanged pleasantries, we hung up, and I immediately called my wife. He added that even his friends and colleagues are excited for him, with one co-worker deciding to enter a draw after “getting inspired by my win”. In 2016, Varghese moved to Dubai, where he lives with his wife and two sons — Aaron, 10, and Ethan, 4. The third and final Audi raffle is on February 13. A fourth draw in the Gulf News promotion, on April 10, will see a subscriber get his or her hands on the keys to a fully-furnished brand-new one bedroom apartment by top Dubai-based property developer Damac in Dubai South.